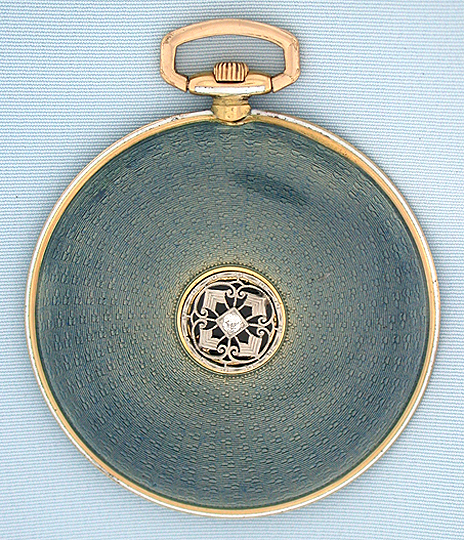 Fine and very slim Swiss Dricer gold, enamel and diamond men's 18K Art Deco antique dress watch circa 1925. 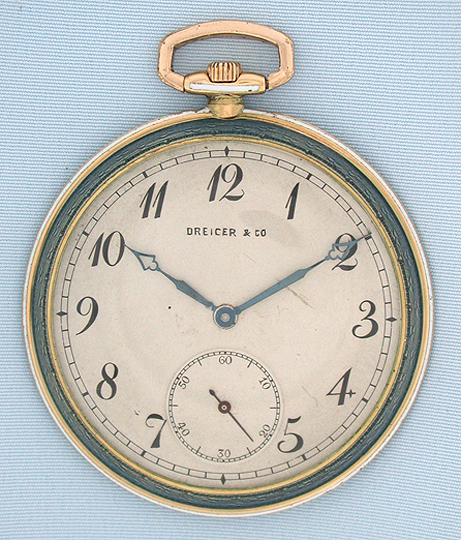 The back and bezel in grey-blue enamel over engine turning, the band with a stripe of white enamel, the back centered with a diamond. 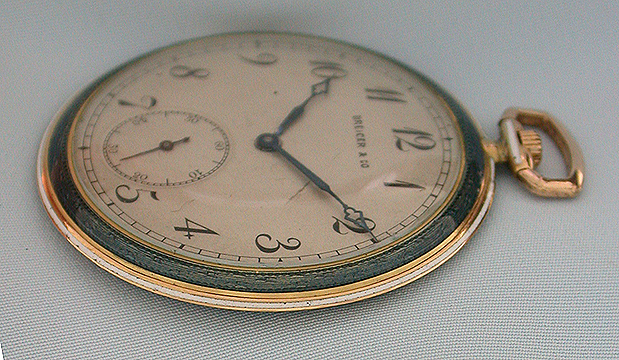 Silver dial with black numbers and fancy blued steel hands. 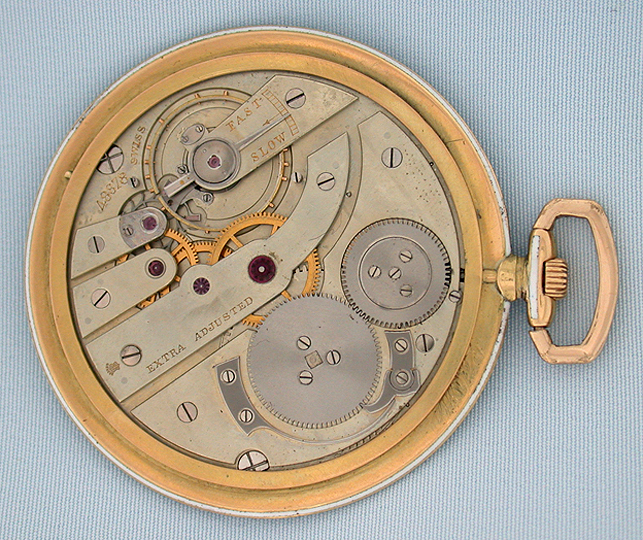 High grade slim 18 jewel Extra Adjusted movement with the Geneva seal. Elegant.